SOUTHAMPTON, July 7st, 2014; iCode Systems announce the release of version 6 of the iCatcher Console family of video management products. iCode Systems Ltd produce iCatcher CCTV, an innovative Video Management System with unique proprietary analytics which can be configured as a whole or partial event driven system providing extended recording durations with an implicit video synopsis profile for ease of post event identification. Embedded communication technology allows the integration of external 3rd party systems for command and control situations. Specific integrations with industry standard applications in Access Control, Home automation and sensor technologies provide the basis for extensive environmental control out of the box. Version 6 of iCatcher Console extends iCatcher’s functionality in key areas of camera support, access control and IO integration. New fully integrated Alerting Engine. Configurable altering engine to facilitate a variety of alerting options to internal or external destinations. These include, Email, SMS, FTP, or Saved Web page containing the video from the event. Actions and Alerts can now be set to operate only when the system is armed, enabling a simple global on/off for alerting. This feature can now be enabled or disabled through a single console button operation. Scheduled profiles for Camera configuration and alerting on an individual basis. All configuration settings can now be contained in a profile. You can create multiple profiles and schedule the switching between profiles in order, for example, to have a different configuration outside business hours and inside business hours. ONVIF camera discovery and configuration. 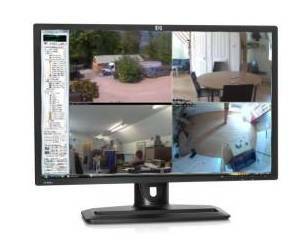 iCatcher Console can detect cameras using the industry standard ONVIF protocol, using the Add Camera wizard. You can now export video from the Smart Client rather than having to perform the export on the recording server. Ability to upload images via FTP in response to an input from an I/O device. Conditional scheduling for defining when and under what circumstances an action can be run. Limit actions to a defined period during the day, or only when the system is armed. Aggregate I/O devices that can consolidate many different sensor and I/O values into a single value. You can now perform calculations on the input from I/O sensors such as a summing the inputs over time, or multiplying two inputs, the result of which is then available as a ‘virtual’ IO device. Enabling the display of these calculations in the user interface, for example, total power usage of several devices or buildings. Tripwires that can count objects touching as well as crossing. Count when an object approaches and touches a tripwire, without crossing it. The full feed names shown when viewing the history folders in Windows Explorer.